With rich industry experience & knowledge, we have been able to provide the best array of Automatic Whole Wheat Flour Plant. We have constructed a sound manufacturing unit, where we manufacture and supply a quality range of Flour Milling Plant. Our dexterous workforce uses optimum quality materials like cast iron and mild steel to manufacture this plant. As a reputed enterprise of the industry, we are affianced in offering our clients an attractive range of Flour Mill. 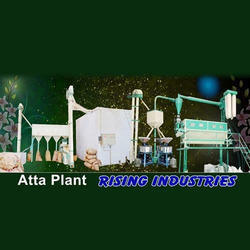 We present to our clients a wide range of Atta Chakki Machine. Our Atta Chakki Machine is known for its robust construction, hassle free performance and longer service life. 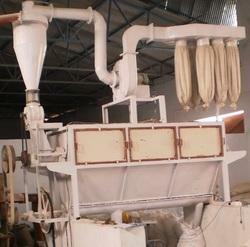 These products are used for milling and grinding of wheat. Our offered product is checked on various parameters before delivering to the clients. The unit is to grind whole roasted chana /pulses for making besan & sattu Grinding mill with steel machines horizontal split, totally enclosed chamber and C.I.chipper-hopper complete with free swing type tungsten special hammers. Mild steel feed hopper, one cyclone collector swivel type, complete unit with pulley belt system. Capacity : 5 HP to 40 HP Motor. We are one of the leading manufacturer and exporter of flour mill & spares. These are made up of premium quality material. These are preferred by our clients as we meet the basic requirements of our clients. Besides, our product eases the workload is efficient in operation, long lasting and durable in finish standards. S N Chatterjee & Bros.